Processes that span wide-ranging time and space scales are encountered in science and engineering in a vast number of fundamental and applied contexts. For example: the flow of blood in humans' complex vasculature; precision fuel injection in high-performance car engines; turbulent flow over drag-reducing coatings on aircraft; efficient mixing of particles or powders in the food and pharmaceutical industries; dislocation creep and crack propagation in failing materials; and the flow of the oceans and atmospheres, which impact our climate and weather. 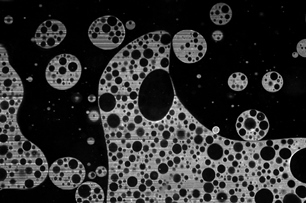 The challenge of understanding and predicting these multiscale processes, particularly those in the field of fluid dynamics, is the core motivation of the group. 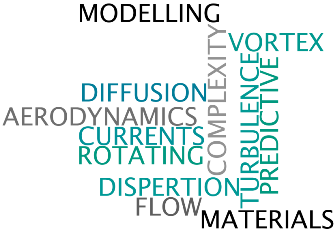 Several members of the group work on developing the underpinning science and enabling methodology for a diverse range of fluid flows in nature and technology. These flows span scales (from atmospheric to the nanoscale), phenomena (from cavitation to combustion), constituents (from granular to rarefied), biology (from pulmonary air to microvascular blood) and engineering application (from turbulent-drag reduction to explosion hazard detection). We also use modelling for a wide-range of processes including the progression of fire, chemomechanical processes in materials, and changes in nano-crystalline structures. Experimental capabilities include: Particle Image Velocimetry (PIV), Laser Doppler Anemometry (LDA), microfluidic analysis, small to large-scale rotating-tank facilities, and Ultrasonic Velocity Profiling (UVP). Computational expertise includes: high performance computing (MPI/OpenMP), Direct Numerical Simulation (DNS), Engineering Computational Fluid Dynamics (CFD), open-source software (openFOAM, mdFOAM, FireFOAM), Density Functional Theory (DFT), Molecular Dynamics (MD), multiscale Quantum Mechanical/Molecular Mechanical (QM/MM) simulation, Direct Simulation Monte Carlo (DSMC), and a range of multi-scale modelling and simulation techniques including uncertainty propagation and quantification. The group is associated by collaboration with a number of laboratories and centres. In particular, the Fluid Dynamics Research Centre, which connects fluids research activity across multiple departments in Warwick and Coventry University.